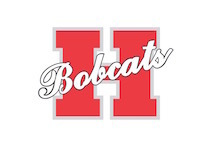 HOPE – A plan to utilize contracted services for school district maintenance operations was accepted Monday night by the Hope Public School District Board, which also extended the contract of Superintendent Bobby Hart. Hart’s contract was unanimously extended by the board for one year. He came to the HPSD as superintendent in April, 2012, from the Genoa Central district near Texarkana. A native of Bryant, Hart graduated from Henderson State University. The contract extension comes on the heels of an evaluation process completed by the board earlier this month. The board also adopted a proposal to contract for maintenance and custodial services with GCA Service Group at a cost of $676,550.22 annually under the company’s second option bid. “They serve multiple districts throughout the state and region,” Hart said. Under that option, GCA agrees to retain all eligible current district maintenance and custodial employees who apply to the company, and agrees to pay a base rate of $9 per hour, Hart said. “They are guaranteed right of first refusal,” he said. He said a total of nine companies submitted proposals either directly or for subsidiaries. Hart said the plan should save the district some $150,000 per year in maintenance/custodial costs over the three-year contract. Hart was asked about the impact of the change upon employee retirement benefits. He said the majority of the district’s current maintenance/custodial staff has less than 10 years of service, and can rollover benefits into a 401k plan provided by GCA. He said GCA will select supervisory staff based upon its hiring from the HPSD. -- Adopted a district tax levy budget for 2019-2020 totaling some $20.9 million which provides for no change in the current 34.7 mill tax rate. -- Adopted a school calendar for the 2018-2019 school year which starts classes on Aug. 13, and concludes the school year on May 27. Open House is set for Aug. 9, and holidays include Labor Day, Sept. 3; Thanksgiving, Nov. 19-23; Christmas, Dec. 24-Jan.4; Martin Luther King Day, Jan. 21; Winter Break, Feb. 15; Presidents’ Day, Feb. 18; Spring Break, March 18-22; and Good Friday, April 19. --Agreed to employ a second social worker for the district. --Accepted certified resignations and employed three teachers at Hope Academy of Public Service, including Stacy Rosenbaum, Katelyn Kidd and Kristine Thomason. --Approved a travel stipend for Nina Anderson, Yerger Middle School/HAPS math facilitator. --Agreed to change hotel reservations for a summer board conference in Orlando, Fla., to obtain a cheaper nightly rate. --Agreed to employ U.S. Air Force Lt. Col. (Ret.) Mark Hart as the commissioned officer for the Hope High School Air Force Junior Reserve Officer Training Corps program. Hart said that without a commissioned officer overseeing the program, the Air Force had said the HHS unit would be disbanded. Lt. Col. Hart is a cousin of Superintendent Hart’s, he said. The hire, pending final interview, will not violate state law since the relationship involved is not immediate family.